Definition and correct use of the word “dwelling”. Part A3.2 Class 1b(ii). Table D3.1 Class 1b. 2.Insert the definition of “Dwelling” as contained in the Macquarie Concise Dictionary (sixth edition) to the NCC Volume 1 General Provisions i.e. 4. Amend Table D3.1 (a) Class 1b (Access for people with a disability) to remove “dwellings” and insert “buildings”. Deficient drafting standards introduced to the NCC at the 2011 amendments by the misuse of the word “dwelling” out of context, and with the incorrect definition of the word, “dwelling” contrary to the Drafting Manual of the Office of the Parliamentary Council. Drafting standards require consistency in the use of words.” Dwelling” in the original definition of Class 1 and 2 buildings is consistent with the Macquarie Dictionary, but inconsistent with the use of “dwelling” introduced in the definition of Class 1b and the definition in the Class 1b that is repugnant to the Macquarie Dictionary. The aim of the Building Code Australia (BCA) and supporting State legislation should be to ensure that buildings are constructed to a standard for a specified end use, and that they are in fact used for that constructed and intended use. In some situations the higher standard Class 3 building may be used for Class 2 long- term occupation; however, the use of Class 2 buildings for Class 3 transient accommodation defeats the objective of the BCA and Disability Discrimination ACT (DDA). The Australian Building Codes Board (ABCB) appears to be implementing a policy of erosion of the distinction between Class 2 and Class 3 buildings by establishing standards that are common to both. This is evident in the new smoke detection standards, fire equipment standards, emergency signage standards and relaxation of public address system standards. Access and egress standards have also been standardised, understandably because of the post 2010 requirements of the Disability Discrimination Act Access to Premises standards. If this is ABCB policy for new buildings, then developers, and building owners, will be required to accept that the original intent of the BCA to reduce building costs for residential buildings will no longer apply. The ABCB will be answerable for increased costs to the community and for the achievement and maintenance of acceptable standards of structural sufficiency, safety, health and amenity for the benefit of the community now and in the future. Also the disharmony created by failure to segregate long term residential and short term accommodation users. In reality, there are thousands of Class 2 buildings in Australia that are being incorrectly used for Class 3 accommodation. These building are not subject to the multipurpose construction standards now being applied to new Class 2 and Class 3 buildings. Therefore transient accommodation residents being accommodated in pre 2010 Class 2 buildings are being exposed to sub -standard fire detection and access and egress standards. The UOAQ considers that the ABCB has failed to clearly and specifically define Class 2 building use by failing to include the Macquarie Dictionary definition of “dwelling” in the BCA Volume 1 General Provisions. In 1980, by way of an inter-government agreement, a national body called the Australian Uniform Building Regulations Co-ordinating Council (AUBRCC) was formed. This organisation, which consisted of the Commonwealth, state and territory governments, was principally created to develop a national building code. This task was successfully completed in 1990 with the production of the Building Code of Australia (BCA90). Class 3 (Short term accommodation buildings). The 1980/81 standardisation committee derived the building classification definitions from an assembly of submissions of building codes from every State and Territory in Australia and also submissions from New Zealand. Terminology used in Europe and the United States of America was also considered. The understanding of definitions used in drafting the BCA was derived from the Concise Oxford Dictionary (At that time the Australian Government standard for legislative drafting). There was clear logic to the development of the definitions within the guidelines established for the creation of a national building code, and the definitions of words used complied with the Office of Parliamentary Council – Drafting Manual. Class 1 buildings were, and are, clearly understood as private residential dwellings. Class 2 buildings were considered to be private residential dwellings (Class 1) built above, beside or below each other. The aim of the committee was to restrict regulation to that applying to Class 1 dwellings unless there were structural or safety requirements that justified additional regulation – thus minimum fire alarms and no access requirements for persons with a disability. The objective was to minimise cost of construction consistent with meeting the objectives of the committee and minimum burden on the community. Class 3 buildings were considered to be commercial application buildings providing accommodation for a variety of applications and a variety of persons. This included commercial hotels, motels, boarding houses, student accommodation, etc. Thus the safety standards had to meet the worst case scenario of these uses. Fire alarm systems had to be fully automatic and provide coverage for the entire building (AS 1670). Access and egress was required for persons with a disability, structural sufficiency had to be developed to withstand high occupancy numbers, materials had to be higher fire resistance and escape systems had to be to the highest standards available in 1980/81. Class 3 buildings were of necessity more expensive to construct, but the committee was of the mind that higher construction costs could be absorbed because of the commercial nature of the buildings. There was no doubt in the minds of the standardisation committee that they had clearly defined the classifications and building use. Unfortunately following the introduction of the Building Code Australia some developers working in concert with Local Government building inspectors began a campaign to confuse the intended classification of Class 2 and Class 3 building use. The confusion was created by casting doubt on the definition and use of the word ‘dwelling’. This confusion varied from State to State, but was far more prevalent in Queensland where the State Government turned a blind eye to the incorrect use of buildings. Both Class 1b and Class 2. This blind eye approach included Class 1b buildings until the tragic loss of 20 lives by fire at Childers and Sandgate. Following this disaster the Queensland Government quickly developed an understanding of Class 1a and Class 1b use and fire regulations. Legislation was introduced and standards enforced. This understanding did not extend to Class 2 and Class 3 buildings primarily, because of pressure from developers and the tourism industry. (i) a residential building for the purposes of which development consent can be granted only because of State Environmental Planning Policy No 15-Rural Land sharing Communities. What evidence exists to show there is a problem? The UOAQ is the single largest organisation in Queensland representing some 405,000 unit owners. The UOAQ also recognises the importance of our members to the Queensland tourism industry. There are two distinct groups involved in unit ownership; the investment owners who provide the tourist accommodation, and the long term residential owners seeking an apartment complex that providesthe amenity, level of health and safety commensurate with community expectations for places of permanent residence. Unfortunately these two groups of occupiers, in most circumstances, are incompatible. The use of Class 2 buildings for holiday letting has considerable implication for the tourist industry. The two types of residents are in conflict and tourists often become involved in heated arguments about noise, use of facilities and care for the complex. A de-valuation of the “tourist” experience available at the development through there being a non-tourist character or ambience to the facility. An impact on the amenity of the resident due to different lifestyle priorities to short stay tourists, who in many cases have a higher “recreation priority”. The HMAA also stated: “All providers of similar accommodation types should be required to comply with the same regulations, legislation and standards.” That is, the HMAA members who must comply with Class 3 building standards and costs are being disadvantaged by tourism operators using Class 2 buildings as transient holiday and tourist accommodation. The Tourism and Transport Forum Australia has expressed similar concerns to those stated by the HMAA. The standard of visitor accommodation constitutes a major part of the longer term memory of the visitor/tourist experience, and certainly is one of the major subjects of recommendation to friends and associates. Thus the standard of accommodation has considerable impact on new and repeat tourism business experienced by UOAQ accommodation providers. How will the proposal solve the problem? These standards and mission statement are understood by the ABCB as evidenced by the non-binding clarification paper issued in 2012, but the ABCB appears to lack the intestinal fortitude to confront developers. The ABCB cannot abdicate this authority, responsibility, and duty of care and retain any creditability. Six years to establish a definition of the specification of Class 2 buildings that are the basis for achieving an understanding of the core elements of their mission statement is unacceptable by any performance standard. To state the basis of any decision regarding the classification of a building or part of a building. The use of a building determines its classification. Use is determined on the basis of its design, construction or adaptation. To categorise buildings of similar risk levels based on use, hazard and occupancy. Classification is a process for understanding risks in a building or part, according to its use. It must be correctly undertaken to achieve BCA aims as appropriate to each building in each circumstance (underline emphasis added). The logical conclusion from the above is that the BCC before advising the ABCB in determining the construction standards to meet a defined use and building classification must understand the intent of the classification definitions (in this case Class 2 and Class 3). If the BCC does not understand the link between use and classification it cannot specify the standards required of the BCA (NCC). E.g. BCA Specification E2.2a para. 3. (AS 3786) for long term residential Class 2 buildings and BCA Specification E2.2a para. 4. (AS 1670) for short term accommodation Class 3 buildings, thus compromising fire safety standards. This past clear understanding of fire standards has now been blurred by the NCC introducing combined Class 2/Class 3 standards and exemptions. The proposed ‘Guide’ to the understanding of Class 2 and Class 3 building use was fully supported by the Unit Owners Association of Queensland Inc.(UOAQ). As returning the intended use of Class 2 and Class 3 buildings to the intent of the (AUBRCC). The UOAQ was, and is, most concerned that the document was proposed as a ‘Guide’ and not a clear definition of the correct building use. We see this as an open invitation to the blind eye approach as was experienced with Class 1a and 1b until some 20 deaths by fire forced the Queensland Government to act. It would be a tragic reflection on the ABCB and the Federal Government if a fire in a Class 2 building is being used for Class 3 purposes, resulted in hundreds of death by fire. This would be the scenario if for example the Oaks Tower at 128 Charlotte Street Brisbane was to be involved in a major fire. The UOAQ recommends in the strongest possible terms that the General Provisions to the BCA be amended to include a definition of Dwelling: 1. a place of residence or abode; a house. 2. continued or habitual residence. The incorrect use of the word “dwelling” then be deleted from the NCC Volume 1 as recommended at the ‘Proposal’ to this paper. This extremely simple amendment will permanently clarify the correct use of Class 2 buildings and can be adopted by every state and territory as part of the May 2015 NCC amendments. What alternatives have been considered. Because of the confusion introduced as to the intended definition and use of Class 2 and Class 3 buildings, and lack of definition of “dwelling’ in the BCA, the ABCB placed on its Annual Business Plan for 2006: ‘The clarification of the definitions of Class 2 and Class 3 buildings’. Four years later (2010) the ABCB declared that the BCC was unable to reach agreement as to suitable definitions, and therefore the project would be discontinued. Following this failure of the BCC and ABCB to achieve satisfactory definitions of the Class 2 and Class 3 building classifications, the Australian Government Productivity Commission released its Annual Review of Regulatory Burdens report in August 2010. This report raised concerns about classification and use of Class 2 and Class 3 buildings, and tasked the ABCB with reviewing the definitions and use of Class 2 and Class 3 buildings. In 2011 the ABCB sought submissions from stakeholders in relation to Class 2 and Class 3 building classification. On 6 August 2012 the ABCB issued a non binding clarification paper on the understanding of Class 2 and Class 3 definitions. On 19 December 2012 the ABCB circulated a letter effectively putting the clarification exercise on hold for two years. The BCC from 2006 to 2010 was unable to agree on an acceptable definition. In total this task has now been on the ABCB agenda for six years plus another two years in abeyance. The ABCB appears to be either incapable of or unwilling to produce a definition of Class 2/3 buildings, and considering the six years already dedicated to this simple task, plus two years in abeyance, appears to be most unlikely to achieve a satisfactory resolution of the problem. The delay simply allows developers to continue building sub-standard accommodation – primarily for the tourist industry – but owned by the mum and dad investors of Australia. The letter issued from the ABCB clearly indicates that it has been influenced by the development lobby to discontinue the clarification exercise because it will be financially disadvantageous for the developers to construct the correct Class 3 buildings where they are now constructing less expensive Class 2 buildings for short term accommodation. This apprehension of collusion between the ABCB and developers was further strengthened in 2011 by the introduction of an amended definition of Class 1b buildings. contrary to the BCA statement: “Guest, boarding, or lodging houses which do not meet the criteria for a Class 1b building are classifiable as Class 3 buildings. Correctly, 4 or more single dwellings located on one allotment and used for short – term holiday accommodation would best be classified as a motel – Class 3. The introduction of the amended definition appears to be completely unnecessary except for the purpose of diluting the construction standards of holiday (tourist) accommodation and further confusing the understanding of ‘dwelling’ as originally confined to Class 1, Class 2 and Class 4 (part) buildings. Confusion has already been achieved in the Victorian Supreme Court (Paul Slater v Building Appeals Board and Ors) VSC279 Beach 30 May 2013 where his Honour Judge Beach at  &  found that the new Class 1b definition diluted (confused) the definition of ‘dwelling’. The UOAQ protested this change of definition to Building Codes Queensland (BCQ). This letter was responded, and subsequently forwarded to the ABCB as recommended by BCQ. This Proposal for Change results from the ABCB response. Long term residential owners seeking an apartment complex that provides the amenity, level of health and safety commensurate with community expectations for places of permanent residence. Investment unit owners seeking a return on investment from short term rental. Caretakers and letting agents seeking to illegally holiday let units in Class 2 buildings. Developers who will be forced to comply with the intent of the NCC and construct building for purpose. Persons with a disability who will be protected from occupation of pre 2010 buildings without adequate egress in the event of fire. State Governments who will be forced to amend legislation that is offensive to the NCC and DDA. Local Governments who will be required to correctly classify Class 2 and Class 3 buildings during development application processing. Australian tourism industry where dedicated, professionally managed, designed for purpose, facilities are not available to meet the standards expected by international travellers. In what way and to what extent will they be affected by the proposal? Unit owners: Long term residential owners seeking an apartment complex that provides the amenity, level of health and safety commensurate with community expectations for places of permanent residence. Mixed use buildings are distressing to residential owners because the issue we are addressing is to provide surety to purchasers who wish to live in residential property not affected by short term rental. The desire for quality of residential living accords with basic human rights, and will be an increasing problem as residential unit living increases. The 2013 Griffith University study went to great pains to explore the frustration that purchasers experienced clarifying the building class issue, then ultimately finding that short term rentals were introduced into their property. Class 2 buildings should provide the means for that surety. 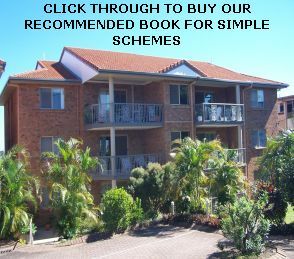 However, under Queensland legislation there is no provision for permanent residential buildings that provide community expectations of lifestyle, amenity, safety and health, or residential accommodation with like-minded persons. Investment unit owners seeking a return on investment from short-term rental. The primary consideration in any solution as to correct building use must be the building owners (Body Corporate). The owners must be allowed freedom of choice to determine by democratic vote how they want their building used. Unit owners fall into two distinct groups, those who purchased for investment and those who purchased for private residential use. Those who purchased in a Class 2 building for investment, either knowingly or unknowingly, purchased in the wrong classification building. Those who purchased for residential use purchased in the correct classification building. Any right thinking person must conclude that those persons who purchased in the correct classification building must be given priority in any dispute as to future building use – provided that the majority of owners support that building use. As population densities increase (in line with Government policy) the number of persons permanently accommodated in apartment buildings will increase. These persons have every right to expect accommodation standards that provide the amenity, health and safety equal to private residential houses. They should not be expected to live with noise, and short term renters (strangers) using their recreational facilities such as swimming pools, garden areas and community lounges. The lifestyle expectations of permanent residents and short-term transient holidaying tourists are entirely incompatible. Owners who purchased for short-term accommodation investment must be given equal consideration as residential owners when the majority of owners vote to retain short-term accommodation in a Class 2 building. However, this situation cannot be allowed to continue indefinitely and time frames must be established to either upgrade the building to Class 3, or change to the correct Class 2 residential use. Building Letting Agents are the third group who must be given some consideration, but they are not on the same standing as building owners, albeit that they may own a unit in the building. Letting business returns from a 100% occupancy long term let building yielding 7% will be almost equal to business returns from a 65% let short term rental building yielding 12%. “A residence” clearly implies a building with a significant degree of permanency of occupation. This same judgement also found that a Motel is not “Residential Accommodation” as residential implies a degree of permanency. The obiter dictum of Samuels JA was not followed by Bignold J in North Sydney Municipal Council v Sydney Serviced Apartments Pty Ltd and Anor (1988) 66 LGRA 373 (at pp 381 – 382), his Honour preferring to adopt the approach of King CJ in Masters v Padley. The question in that case was whether a certain building was being used within the terms of a development consent authorising use as a “residential flat building”. On appeal (North Sydney Municipal Council v Sydney Serviced Apartments Pty Ltd and Anor (1990) 21 NSWLR 532), Mahoney JA at 537 – 538 held that, in respect of the definition of “residential building” under the County of Cumberland Planning Scheme Ordinance, a number of descriptions were used involving different kinds of human habitation, and that the kind of human habitation involved in “residential flat building” within the definition envisaged a significant degree of permanency of habitation or occupancy. In the context of a planning control which regulates the purposes for which land may be used, it is appropriate, in my opinion, to think in terms of the ordinary meaning of “domicile” as a “place of residence”, an “abode” or a “house or home” (see Macquarie Dictionary) rather than in terms of its technical legal meaning as being a permanent residence to which the subject, if absent, has the intention of returning. Characterisation of use is not generally concerned, from a planning control perspective, with the intentions of persons, but instead is concerned with the actual use to which the land is put (cf North Sydney Municipal Council v Boyts Radio & Electrical Pty Ltd and Ors (1989) 67 LGRA 344 per Kirby P (as he then was) at 353 in the context of existing uses). Eric Foster of Sylvania, owner of a residential strata unit in the “Tradewinds” building on the ocean front at South Cronulla was ordered to stop letting his residential unit for holiday and short term accommodation. Tradewinds is a 9 storey 42 residential unit building zoned 2c Residential which allows use of the units only as a person’s permanent home or residential lease. In the Victorian Supreme Court (Paul Slater v Building Appeals Board and Ors) VSC279 Beach 30 May 2013 where his Honour Judge Beach at  &  found that the 2011 NCC Class 1b definition diluted (confused) the definition of ‘dwelling’. He returned the matter to the Building Appeals Board for review. The referenced decision by the Environment, Resources and Development Court (ERDC) of South Australia, to allow misuse of a Class 2 building, is extremely confusing, and contrary to South Australian Government guidelines published at that time. The Sydney Morning Herald 21 May 2014 reported a Victorian Civil and Administrative Tribunal decision to issue a cease and desist order against short stay letting operators. In this case the matter was the use of Class 2 units for what the Tribunal accepted was business operations. The point of all this is that unit owners should not have to resort to the Courts to determine the correct use of their building. A matter that falls within the responsibility and charter of the ABCB, but which the ABCB has failed to define over a period of some 24 years. The intent of the AUBRCC was to introduce a logical sequence of building classifications based on type of occupancy and risk of that occupancy including type and numbers of persons resident, accommodated or working in a building. This resulted in Class 1 for private residential, Class 2 sole occupancy units for private residential and Class 3 for public accommodation. Understandably the AUBRCC failed to anticipate that some developers would try to manipulate the logical sequence and definition of building classifications for their own vested interests .Thus causing confusion as to the definition and use of Class 2 buildings. 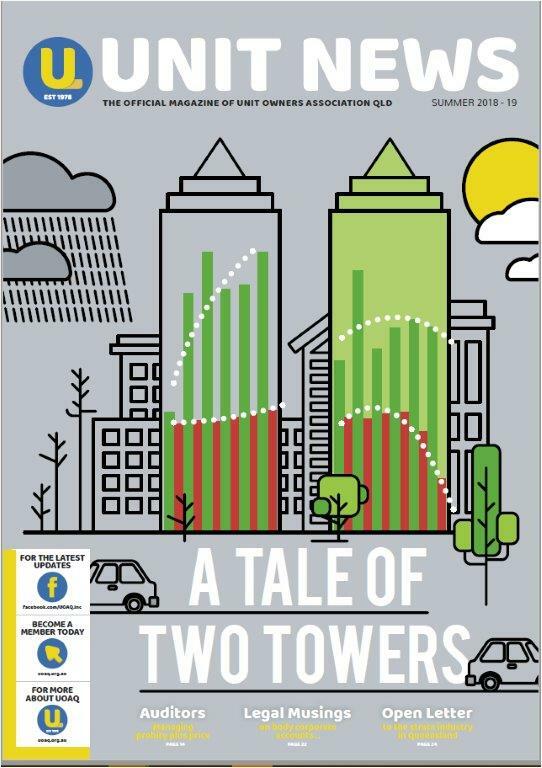 As a consequence of their actions, developers are now faced with the dilution of the difference in construction and fire and safety standards between Class 2 and Class 3 buildings to the point where new Class 2 buildings must meet the standards of Class 3 buildings with the associated cost increases. This will have limited effect on developers of pre 2010 Class 2 buildings, as these projects are completed and have been passed to the general public to try and reconcile the legality of use of their building. The most vulnerable occupiers of Class 2 buildings built before 2010, being misused as Class 3, are persons with a disability. Class 2 building constructed before 2010 did not provide access and egress for persons with a disability. Fire detection standards were lower; there were no fire refuge areas, no public address systems, no braille signage and no direct fire alarm contact to a fire reporting area. In the event of elevators being closed in the event of fire, (as is required) no provision for safety or egress of persons with a disability. Clear definition of the correct use of Class 2 buildings will provide alerts to persons with a disability that pre 2010 Class 2 buildings are unsuitable for safe occupation. The Queensland State Government Body Corporate and Community Management Act 1997 section 180 (3) is offensive to the NCC and DDA by forcing bodies corporate to use Class 2 buildings for transient short term accommodation. Thus exposing bodies corporate to prosecution and liability either in the event of death by fire, or injury to a person with a disability. Clear definition of the intent of use of a Class 2 building should force the Queensland Government to review their legislation. A clear definition of Class 2 building use would also provide clarity to the Courts. The primary cause of acquiescence to the confusion of Class 2 building definition has been Local Government. Local Governments have failed to correctly classify buildings for purpose, and then failed to monitor correct use. This has given a green light to developers to build and then sell buildings by misrepresenting their end use. Australian tourism industry where dedicated professionally managed designed for purpose facilities are not available to meet the standards expected by international travellers. In 2003 the Western Australian government report of the Tourism Planning Taskforce that was an in-depth investigation into planning for future tourism sustainability.The Taskforce investigations provided the opportunity for the factors and issues that impact on the tourism industry, the tourist experience and tourist satisfaction, to be recognised. The key principle identified was that a sustainable tourism industry, with its manyinherent benefits, “requires tourism development to be undertaken for tourism purposes.” Past practise in Australia, in many instances, has been to build Class 2 residential accommodation buildings and then try to adapt them to tourism facilities. This has adversely impacted the tourism experience and the quality of living of permanent residents in these buildings. The UOAQ policy is, and has always been, that Governments should encourage the construction of Class 3 buildings purpose designed to cater for tourists and containing those features sought by tourists for relaxation and enjoyment. The Hotel/ Motel industry is fully equipped to provide tourist accommodation providing the standards and facilities expected by the touring public. Moreover, the staff in these facilities is professional hospitality personnel trained and qualified to provide the level of service expected by tourists. The recent development of hotels and motels with unit type accommodation and first class facilities has made provision of unit accommodation, with mum and dad caretakers, redundant. There is no dispute that hotel/ motel buildings must be constructed to BCA Class 3 standards providing the amenity, level of health and safety commensurate with tourist expectations. This is an expensive development scenario where the higher establishment and operating costs can be recouped from the more affluent tourist market. However, hotel operators are not prepared to construct Class 3 buildings that are expected to operate in competition with lower cost Class 2 buildings. The achievement and maintenance of acceptable standards of structural sufficiency, safety (including safety from fire), health and amenity for the benefit of the community now and in the future. Two distinct types of building use was the vision of 1980/81 standardisation committee when first defining Class 2 buildings as places of private residence and Class 3 buildings as transient accommodation. The use of Class 2 mixed use buildings for tourist accommodation is of great concern to the UOAQ for safety of occupants and creation of problems for both the permanent residents and transient tourists. · A de-valuation of the “tourist” experience available at the development through there being a non-tourist character or ambiance to the facility. · An impact on the amenity of the resident due to different lifestyle priorities to short stay tourists, who in many cases have a higher “recreation priority”. Who has been consulted and what are their views? The 2003 Western Government study quoted above. The 2013 Griffith University study quoted above. The Kelly Cassidy 2007 Doctorate quoted above. The UOAQ represents the unit owners of Queensland and to this end runs a ‘help line’ for members. The overwhelming complaint from owners is the conflict experienced in mixed use building. The conflict is between tourists and permanent residents, and caretaker/letting agents who have a conflict of interest between responsibility to residents and tourists (because tourist rentals are a source of income to the letting agent). The HMAA who must operate Class 3 buildings in competition with Class 2 building operators who have a lower base for return on investment and can therefore operate on lower returns. The Hotels Association Queensland who experience the same problems as the HMAA. Tourists in Class 2 buildings who experience a less than satisfactory standard of service provided by the Mum and Dad operators of Queensland’s infamous Management Rights. on-site restaurant and conference/meeting facilities requiring elevator services. Owners Corporation Docklands Victoria, fighting to ban short term letting of their Class 2 building. Unit Owners Association Queensland Inc.